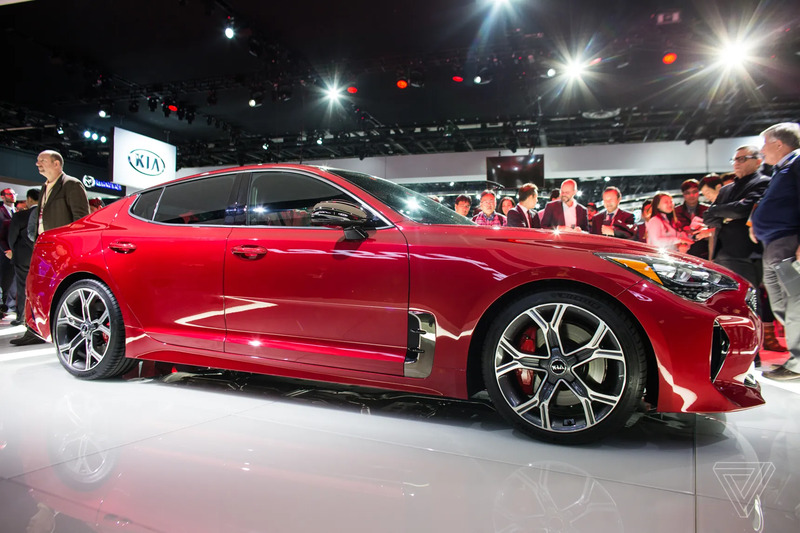 KIA launches their Stinger GT at Detroit Auto Show. 3.3L V6, 365 bhp, Century Sprint in 5.1 seconds. More photos in the link. Edited by Jzachlee, 09 January 2017 - 06:02 AM. Some fussy details at the side of the tail end, but overall a pretty good looking car. 5.1s to 100 and 269kmph top speed, with driving dynamics development led by former BMW M Division chief engineer Albert Biermann. Pretty attractive package if you can look past the badge. Wonder if C&C will bring it in. Very unlikely CnC will bring this in. They didn't even want to bring a turbo charged optima with close to 300bhp, yet this is a higher power and about the same size saloon. Early speculation in Australia is that target pricing will top out at A$50k (vs A$55k for Sorento). If pricing indeed lands in that zip code (which I'm skeptical, to be honest), it's incredible value. Very Audi-esque, at least from the rear. Very good by the Koreans. The Chinese are the new Koreans. The Koreans are the new Japanese. The Japanese are the new Germans. The Germans are the new Italians. In other words, the cars China started out making were similar in reputation to the cars the Koreans started out making (i.e. not very good). That having been said, the Chinese have picked up very fast, I think they're going to give the Koreans a real run for their money soon. The Koreans are now up to where the Japanese were maybe a decade ago. (EDIT: I started out saying they don't have a real supercar like the GTR, but in fact they do! The Ouillim Spirra. I hadn't heard of that one till I searched, learn new things every day). The Japanese are now clearly where the Germans were about a decade ago. They have fast sedans and a best-selling supercar coupe, and other supercars which are not so popular, but still very worthy. The Germans have, for a while, been pushing into exotic territory, previously the sole province of the giddy Italians. Porsche needs no clarification. But even Merc has gone down that road with the SLS AMG and the AMG GT variants. And Audi with the R8. BMW specialises in its M super sedans (like Merc with its AMG division), but it does have the i8 which should count since electric supercars are now a real thing (the Holy Trinity). I guess the Z8 would also count. Edited by Turboflat4, 09 January 2017 - 08:45 AM. This belong to the similar cars like the Hyundai Genesis, Honda Legend and some of the Infiniti car models that has a 3.0L+ V6. Very few individuals will buy them. These cars are rarer dan some of the supercars on Singapore roads. Depends on the price point. Genesis was a 3.8L priced at E class, 5 series price. Even if I liked it enough to consider it seriously, the road tax considerations will put me off. Legend is E class sized, with almost S class pricing. Just makes very little sense whichever way you look at it. If this comes in at $150k for 2.0, and $175k for 3.3, I can definitely see the value proposition. I may well go for this rather than a base 3 series or C class. Given the credentials of the engineers working on this, the reviews should be pretty decent, which could help people overcome the badge issue. Won't be a volume seller in badge focused Singapore, but won't be as rare as the Legend either. Errr I find the side windows look a bit too big (as in too tall). If they had a slightly higher line, would make the car look sleeker. But definitely has shades of A5/A7 in the look especially the back. For every auto show rule there is an exception. 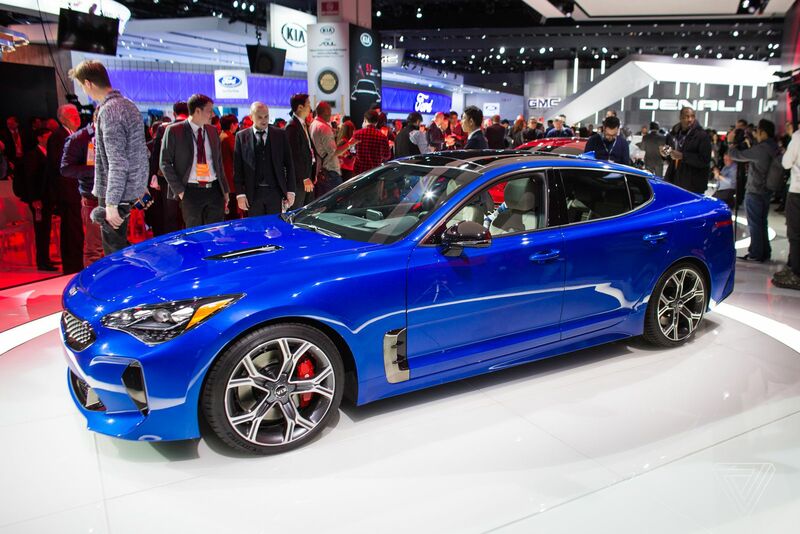 This year at the North American International Auto Show, the outlier is the Kia Stinger, a rear-wheel drive sports sedan. In a show that skimps on splash and sizzle, Kia is taking aim at the German car market and the svelte BMW 4 Series of the world. 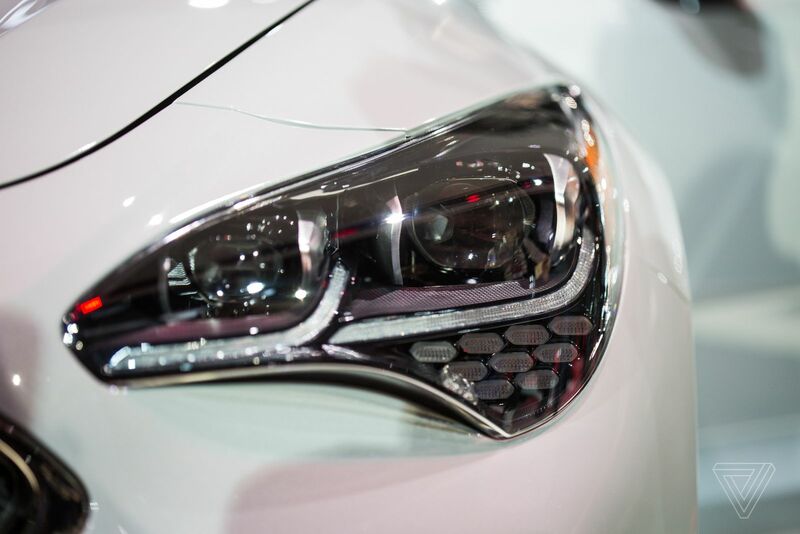 It’s an intentional strategy by the South Korean automaker to stand out from the pack. 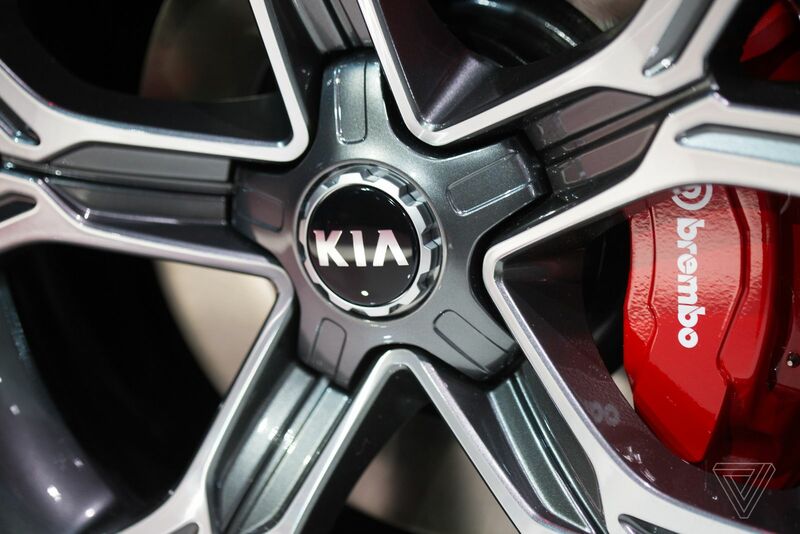 Kia is banking on infusing razzle dazzle to its more pedestrian product lineup. And it wants the US market to know its here to tango. Fluid lines, a long, elegant swoop of a hood, and tight rear quarters are integral to its racy physique. 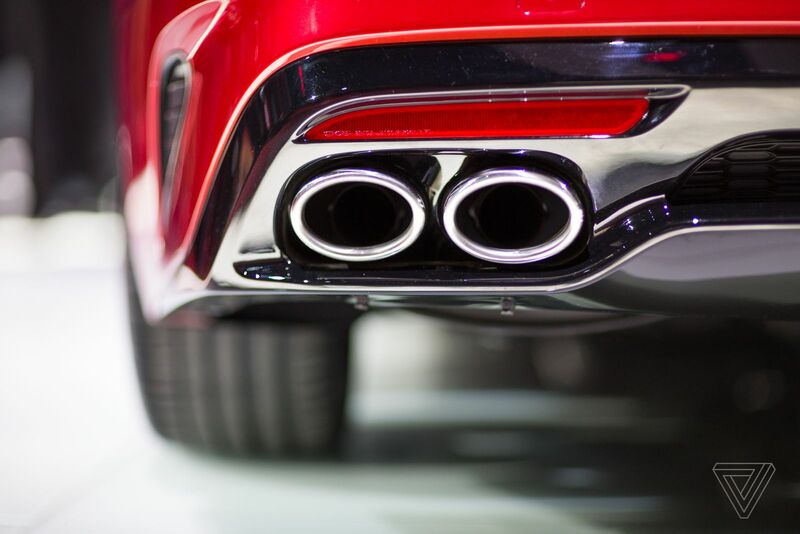 The Kia Stinger has two engines; the juicier option is the 3.3-liter V6 that makes 365 horsepower and clocks 0 to 60 miles per hour in 5.1 seconds. The Stinger is available in rear-wheel drive and all-wheel drive. Driving enthusiasts will go crazy for the rear-wheel drive option, but in this Detroit wintery weather, all-wheel drive certainly has its appeal. 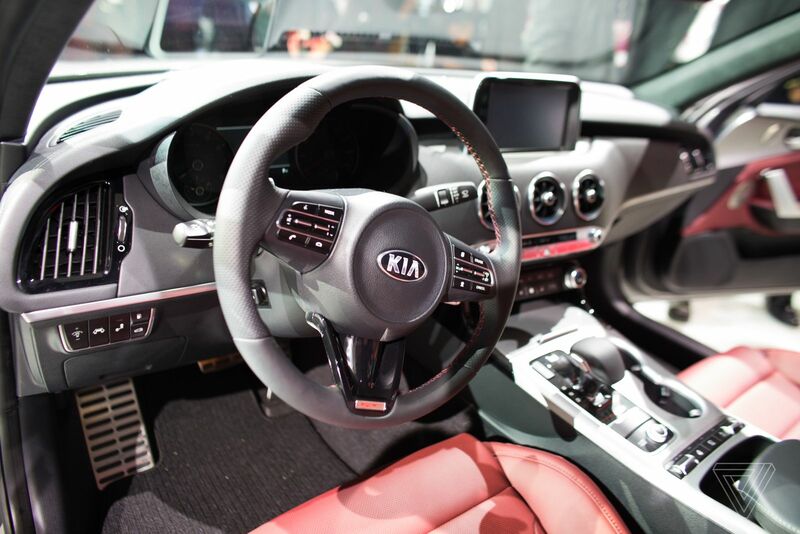 Kia is only offering an 8-speed automatic transmission. 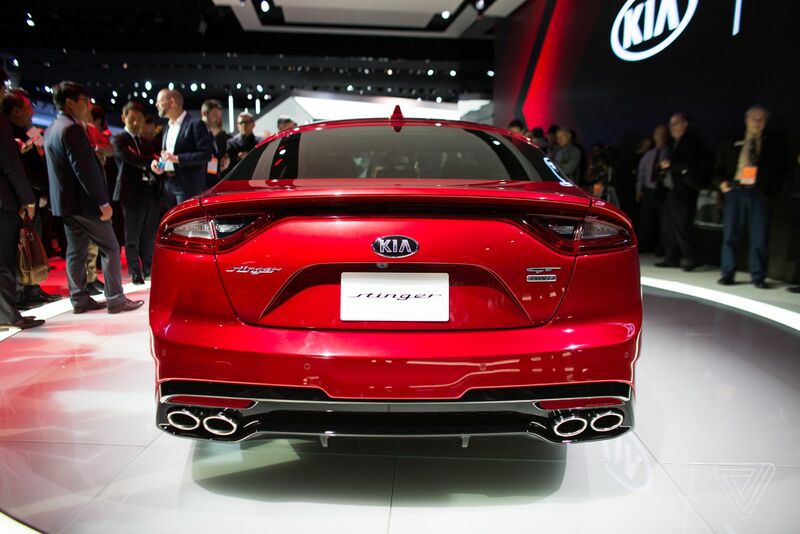 Kia has said for years that it would build a rear wheel drive sedan, and now it’s doubling down on its promise. The GT4 Stinger concept graced the Detroit stage three years ago, but then seemed to fade away. Kia’s current top-selling model is the Soul, a boxy and quirky crossover. And while a Stinger isn’t going to cut into the crossover market, it could get Kia the brand respect it desires. 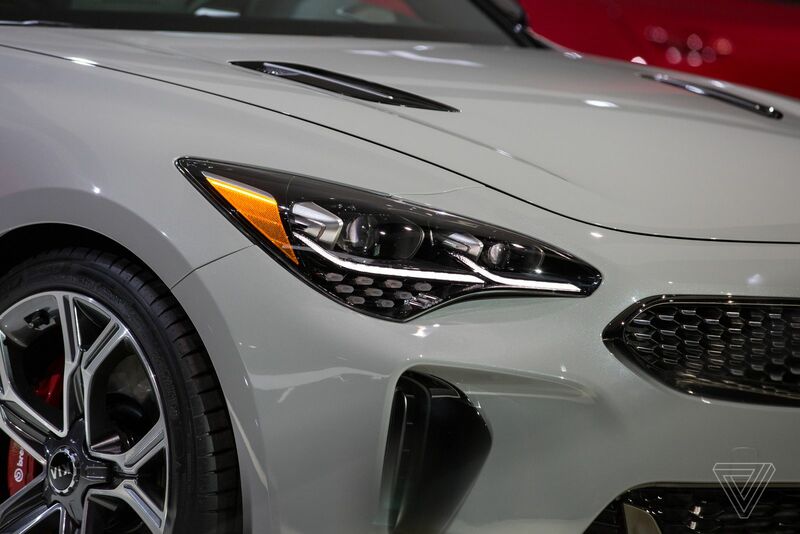 In the world of sports cars, the sting is usually associated with the iconic Corvette Stingray, certainly not Kia. But the game and how its players maneuver is changing at this auto show where news and practical production giants loom large. Kia offers welcome reprieve, a car that we haven’t seen before that has looks and personality, like car show of days past. 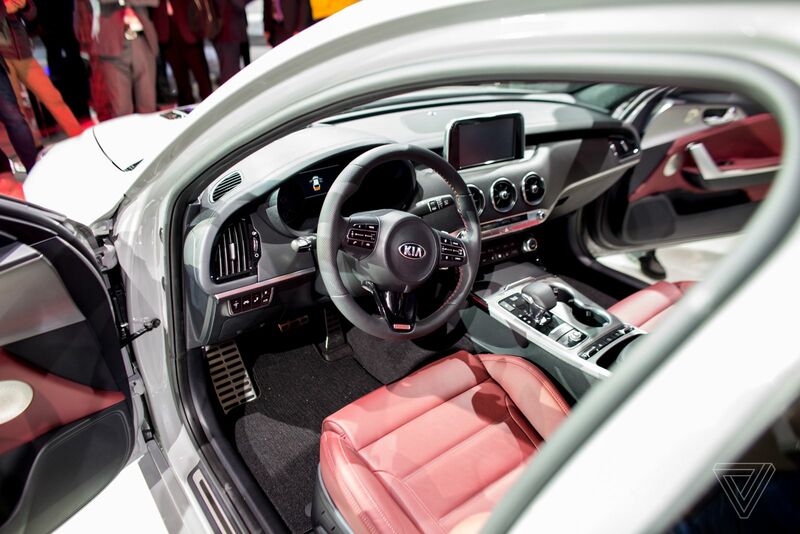 We care about the tech inside of car, but we have to admit, it’s fun to see a car that has some oomph to it. I saw a Amg gt at the petrol kiosk few weeks back. Blue. 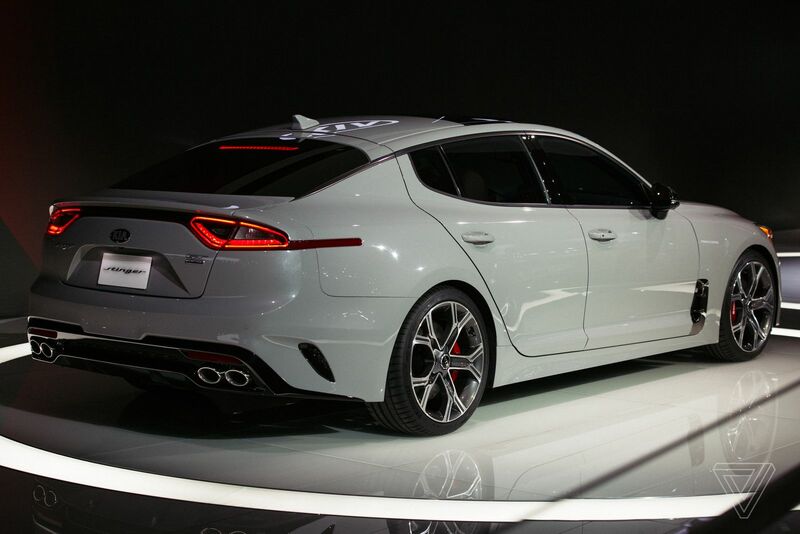 I love the exterior design, the rear looks very much like an Audi A7 sportback. I wonder if it's a hatchback. I'd love it if it were a hatch. Yup, it is a hatchback. Might have been mine. Which kiosk? I go to a couple of Shell kiosks only. My friend drives one as well, also in blue; he bought after I booked, the big copycat haha. Anyway, appreciate the compliment lol. Edited by Turboflat4, 11 January 2017 - 06:53 AM. nah was an SPC in the north. Stylo milo car! Looks much better than the 3 series. Probably more reliable and definitely much more bang for the buck. You can pay the same money as for a 4 cylinder 3 series and leave in the dust with the superior perfomance. I thought you are referring to Italian unreliability initially.